Brian Wiita has been serving the Lord at Faith Baptist since 1993. He was the youth pastor for six years and in 1999 became the senior pastor. Pastor Brian spent a school year in Israel with Baptist for Israel Institute and has received Bible training at Faith Baptist Bible College and Theological Seminary in Ankeny, Iowa and Northland Baptist Bible College in Dunbar, WI. Brian is a lifelong resident of Duluth and was the owner of a music studio prior to his salvation. 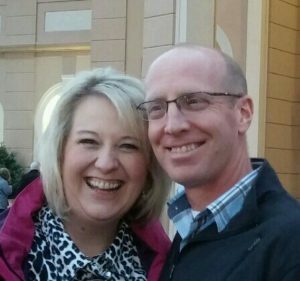 His wife, Melissa, is a pastor’s daughter and a great asset to their ministry at Faith. She is a real estate agent and Pastor Brian also teaches mathematics part-time at Proctor High School.